The solution is simple to disable the monitor turn off power save feature in Windows 7! in "Edit Plan Settings" switch "Turn off the display" to NEVER (... see Image-2 Arrow-1) and save the settings! 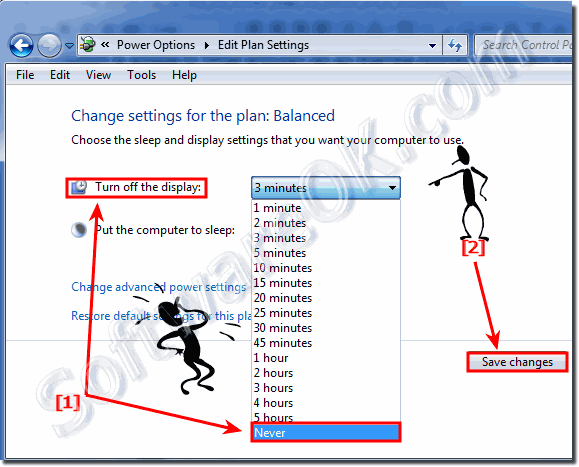 (Image-1) Disable monitor switch off in Windows 7! (Image-1) Never turn off the display in Windows.7! Windows-7 - FAQ-97: What should i do that the monitor does not switch off in Windows 7?